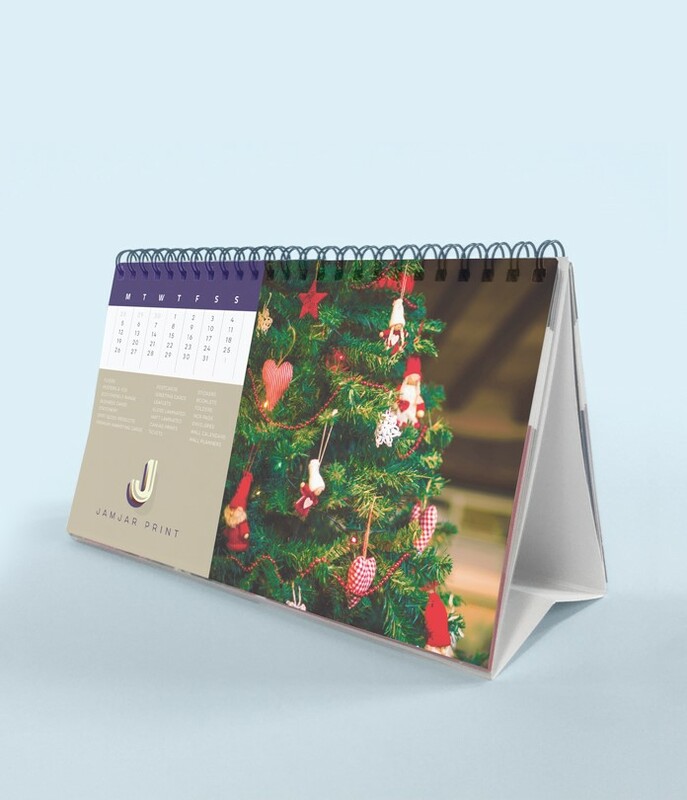 These great desktop calendars come in two different sizes and can be totally peronsalised with your own designs. A handy addition to any office desk! 1 cover sheet, 12 inner sheets (1 for each month), printed full colour (CMYK) to one side, 250gsm silk, attached to 500 micron easel, wirobound (black wire) on long edge and supplied flat (with score in stand). Subject to VAT and delivery where applicable. 25/50/100/250 quantities are printed digitally. 500/1000 quantities are printed lithographically.